Don’t ‘horse around’ with fireworks! For many people Bonfire Night is an enjoyable evening spent watching spectacular firework displays and warming themselves by a bonfire, but for horse owners it can be a time of concern and distress. While it is important for horse owners to ensure the well-being of their animals, everyone has a responsibility to use fireworks safely. Sheila Hardy, Head of Equestrian Safety at The British Horse Society says: “It is not just horse owners who need to be careful. People organising firework displays should inform local horse owners and it is also a good idea not to let off fireworks anywhere near fields or farms. “Most people don’t realise how much suffering fireworks cause animals, particularly horses. Those who really want to have fireworks in their back garden should think carefully about how it will affect local pets and animals before they do so. “We welcome the advice given by The Department of Communities and Local Government in their latest report, ‘A community guide to organising bonfires and fireworks’. This timely document should help everyone keep safe around fireworks. The British Horse Society produces a range of literature on Firework Safety, including a leaflet and posters. This information and further advice for coping with fireworks can be found at bhs.org.uk. The Society also provides a dedicated equestrian safety website, horseaccidents.org.uk where any incidents or concerns involving fireworks can be shared. On Wednesday 5th November, at 7pm, Tim Stockdale will be at World Horse Welfare’s Norfolk Rescue and Rehoming Centre, Hall Farm in Snetterton. Tim will explain his perfected riding techniques and let us in on the secret of how he trains his horses for top-level competition. 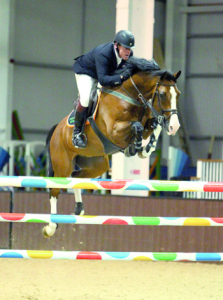 The sportsman will bring along three of his own horses who all compete at different levels in show-jumping. At the end of the lecture demonstration there will be a chance to ask Tim some questions during the question and answer session. During the interval you can pick up some bargains at the second hand tack sale, purchase some products from Tuffa Boots, Tim Stockdale’s sponsor – and even have a go at the tombola. For hot or cold drinks and snacks – the coffee shop will be open to all. The event will be signposted from the main car park. Pre-booked tickets for adults are £20 and for children its only £12. On the door, tickets are £25 for adults and £15 for children. Make sure you get your ticket in time! For more information on this particular event please contact Maxine Langley-Cooper on 01953 499 100 or 07801 880 201. Scarlett Baker, aged 18, from Chelmsford, Essex on board her own 24 year-old bay gelding Chat Balou took the top spot in the penultimate Dodson & Horrell 0.95cm National Amateur Second Round held on Saturday 25th October at Houghton Hall Equestrian Centre in Houghton, Cambridgeshire and each of the starters were vying for one of the direct qualifying places on offer for the Dodson & Horrell National Amateur Championships, which take place at Aintree Equestrian Centre in Liverpool during the 19th – 23rd November 2014. Spectators saw twenty-seven combinations battle in out in this second round and eleven went on to contest the jump off. Six combinations then went on to secure a double clear and the order of the places then came down to the clock. Scarlett and Chat Balou were drawn last to go in the jump off and they used this draw to their advantage. Having seen five double clears produced ahead of them, Scarlett and Chat Balou ensured that they delivered an accurate and fast round in the jump off to secure the quickest double clear of the class after stopping the clock in 34.01 seconds. Second place was taken by 26 year-old Luke Humphrey from Wisbech, Cambridgeshire on his own 15 year-old dark bay mare Soraja. Drawn first to go in the jump off, the combination produced a solid round to ensure that they finished with a double clear. Their time of 34.98 seconds held the lead for almost the entirety of the jump off until the final combination entered the arena. Luke enjoyed a successful class as he also went on to take third place with his own 11 year-old black gelding Back To Black II. This combination stopped the clock in 35.83 seconds to secure not only their place in the top three, but also a place in the Championship Final. An additional eight combinations also went on to achieve their qualification for the Dodson & Horrell 0.95cm National Amateur Championship Final. 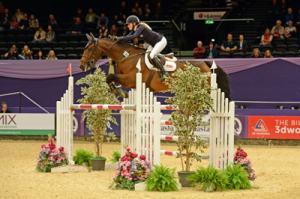 Rebecca Clark from Fakenham rode her horse, Champagne Perry to victory in the Riding Horse Final in the South Essex Insurance Brokers’ (SEIB) Search For A Star Championship at the prestigious Horse Of The Year Show (HOYS) at the Birmingham NEC earlier this month. The judges, Robert Oliver, Katie Jerram, and ride Judge Clare Oliver, had a difficult decision to make. Now in its seventeenth year, Search for a Star was the brainchild of South Essex Insurance Brokers who still run and support it today. 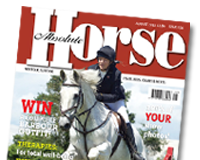 It is exclusively for amateur riders and owners and designed to give these enthusiastic people a chance to compete at the Horse of the Year Show and also to discover new equine talent. SEIB has been providing equestrian insurance for over five decades and is a major player in equestrian insurance. Champagne Perry is a former racehorse, he lives in the field 24/7 and is a real family horse, allowing Rebecca’s children to ride him. “We call him Red at home, and he plays riding school with the kids on Saturdays – everyone can ride him he is so laid back”, said a delighted Rebecca, who admits that it did take a while for the showing to click. “I was not looking for a horse, but I stumbled upon him in bad condition. He had been eventing and then turned away. I had not ridden for 18 years but I had a go on him and he looked after me. I had never jumped before, but now we do it all”, said Rebecca. 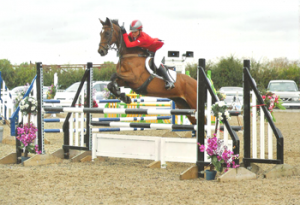 “He does jumping and cross country and is an all-rounder. It has taken a long time to get some weight on him – he was so skinny when I got him. He has had lots of TLC but he’s worth it”, she said. The pair won the home produced large riding horse class at Equifest and came second and reserve TARRA champion. They plan to do more showing and some jumping with the aim of doing the RoR challenge and some dressage over the winter. Having got back into riding thanks to Champagne Perry, Rebecca now helps out as a freelance rider/groom as well as looking after Red and her daughter’s 2 ponies, which are all kept at home. “He thought that was easy peasy, I am so happy, and shocked!” said Rebecca. SEIB Marketing Manager, Nicolina Mackenzie, said: “I am always impressed with the number of people wanting to have a go at Search for a Star, and the standard of horses and ponies coming forward just gets better each year. The atmosphere at HOYS was magical. It is wonderful to be able to give genuine amateur owners and riders this opportunity and I hope that many will go on to further success”. SFAS Conformation Judge, Katie Jerram, said “Another year of Search for a Star and every year it gets better. I’ve loved all the horses and it has been an absolute honour to judge. The team behind the scenes have all worked so hard and without them we would not have today. An awful lot of time and effort has been put in to get to this level, and we have certainly seen some stars of the future. British Horses Feeds is searching for thirty horse owners to be a part of its ‘Fibre-Beet 30 Team’ for a six month period. The ‘Fibre-Beet 30 Team’ will take part in a conditioning trial with super fibre conditioning feed, Fibre-Beet, and keep feed diaries documenting their horse or pony’s condition over the winter and in to spring. In addition to Fibre-Beet, each person will also receive a branded saddle cloth and baseball cap. Anyone wishing to apply to join the ‘Fibre-Beet 30 Team’ must enter online via the British Horse Feeds Facebook page before 30th November 2014. A Super Fibre conditioning feed, Fibre-Beet is a formulated blend containing all the benefits of the original Speedi-Beet product with added high quality Alfalfa for optimum condition, and to provide quality protein for muscle tone and function. The Pony Club Open Eventing League, generously sponsored by Likit, has reached its conclusion for 2014. Over 30 Likit Open Eventing League competitions have been held all over the country since March, accommodating hundreds of Pony Club horse and rider combinations across them. The winner of the Likit Open Eventing League for 2014 is Katherine Mason, from the West Norfolk Branch of The Pony Club. Katherine, aged 15, amassed a total of 24 points with her horse Fernhill By Design (Buzz) and will benefit from the top prize of a day’s training with successful event rider John-Paul Sheffield and a very smart rug courtesy of Likit! Winners down the line to 10th place will also receive training bursary amounts, from £200 for second place down to £50 for tenth place, and also a smart rug. A presentation day has been arranged at 4* event rider Francis Whittington’s yard, where winners will enjoy a yard tour and lecture demo from Francis before receiving their Likit Open Eventing League prizes. Pony Club Branches whose events include an Open (1.10m) Class, are eligible to register for the League with entrants gaining points for places and double clear rounds. The horse and rider combination with the highest number of points at the end of the season wins, with further placings being awarded to 10th place. Based in Scotland, Open League sponsor Likit manufacture a wide range of stable toys and treats. Brand Manager, Lindsay Gall comments “This is our third year supporting this amazing competition and we are so proud of all the competitors and their horses and ponies that have entered this year. The courses are challenging both mentally and physically so just getting round the courses, never mind achieving a place in the top ten, is a fantastic achievement. The Pony Club remains at the forefront of young rider development and we are delighted to continue to support such a worthwhile organisation”. A new campaign has been launched in order to raise money and awareness for the Equine Grass Sickness fund. The ‘Clip for a Cure’ campaign is the brainchild of friends Natalie Young and Rachel Mangto, following the loss of three horses Jasper, Storm and Spencer, to Equine Grass Sickness (EGS), from one field. Rachel Mangto says, “Our family friends lost two Clydesdale’s, Storm, in April followed by Spencer in May 2014. Then our Jasper was diagnosed with EGS on 14 August 2014. He went to sleep after a brave fight on 27 August 2014. To show your support simply clip a triangle onto your horse’s quarters and donate £3 by texting JSSF60 £3 to 70070. To date the campaign has already raised £847 of their £3,000 target. To see how much has been raised go to www.justgiving.com/JasperStormandSpencer. 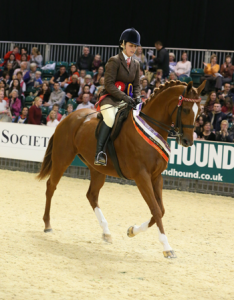 Simon Charlesworth paid a glowing tribute to his champion horse Fait A Cobbli after winning the Virbac 3D Worming Cob of the Year Championship at Horse of the Year Show 2014. Newmarket-based Simon was thrilled with his nine-year-old chestnut gelding after continuing a rich vein of form this year that has included triumphs at Royal Windsor and Hickstead’s Royal International Horse Show. “He couldn’t have done any more in there,” said Simon. “He has been fantastic all season, and he pulled the stops out tonight. I can’t quite believe it, really. “You have got to take each competition as it comes. You never know what is going to happen. They are horses at the end of the day, and it is about luck, hard work and preparation. “It’s so special at HOYS. It’s the one that everyone wants to win at. Everyone works all year towards it. “When you win I think it is a mixture of relief and a bit of shock. 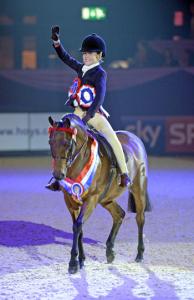 The Supreme Pony of the Year Championship at HOYS 2014 was taken by Barkway Moonfairy, the LEGO Friends First Ridden Champion partnered by 10-year-old Peterborough rider Taliah Aristidou. 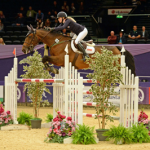 Suffolk rider Chloe Winchester added her name to an illustrious Horse of the Year Show honours list at the LG Arena in Birmingham on Wednesday. The 20-year-old, who lives in Gislingham, won the Canaan Farm Young Riders Championship of Great Britain, and in doing so followed former previous winners like London 2012 gold medallist Nick Skelton, Michael Whitaker, Ellen Whitaker and Robert Whitaker. And she did it in style, clocking 36.97 seconds aboard Avoca Valkyrie, an 11-year-old mare owned by her mother Gilly, in a four horse jump-off to win by more than 1.5 seconds from Oxfordshire-based Alfie Bradstock, riding Caicos. “I am over the moon. I can’t believe it has actually happened,” said a tearful Chloe, who competed for Great Britain at this year’s European Young Rider Championships in Italy. 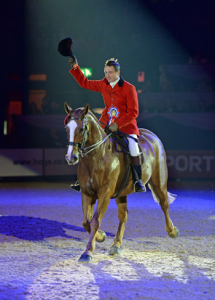 “I have been watching HOYS for years and years, so to actually win here is amazing. “Looking at the previous winners of this class is just amazing, and that lap of honour, I just wanted to go round and round in that arena! “I have learnt so much from being involved with the Great Britain Young Riders, and I was fourth in the Arena UK grand prix recently, so that really set us up for here. “The mare is unbelievable. She has been on really good form, and she was so careful for me today.